“One Day in Tehran” is a documentary in the deeper sense insofar as it is not a simple collection of individual stories, but an ensemble of stories that are organically interlinked, where certain places and characters are connected. The aim is to share the daily life experiences of inhabitants of the Iranian capital, Teheran, a city of almost 10 million as if we were there, not as if magnified through heroic deeds and exceptional events. A holy man who officiates funerals and religious ceremonies, trying to help faithful people cry out their emotions to reach paradise. This connection with daily life and real events is particularly relevant here. The intention behind “ONE DAY IN TEHRAN” is to meet with the real Iran that does not correspond to the one shaped by the agenda of the regime and its adversaries nor the skeptical stigma shaped by western countries, a society filled with the hopes coming from its population and younger generations which strives to make their lives easier. In the vast cemetery of Tehran, we can hear the crackled and twangy singing voices of the master of ceremonies through poorly tuned speakers. Kavoussi is one of them, his occupation is to help the believers cry – the more they cry, the more they get closer to paradise. 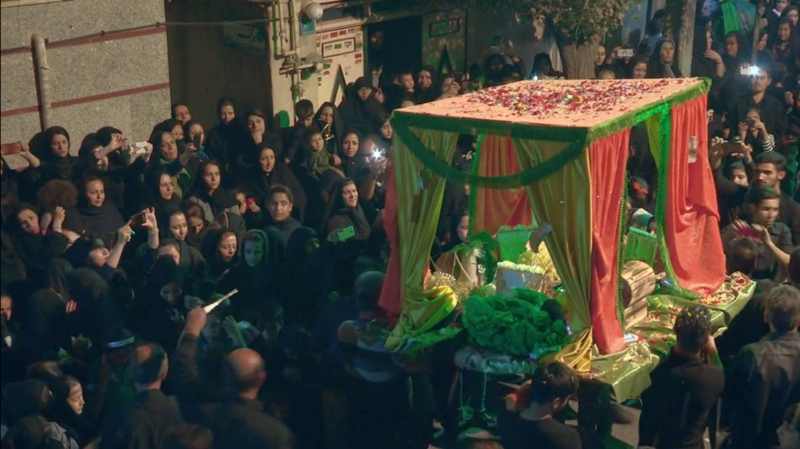 In the west of Tehran, being his neighborhood, Kavoussi has the opportunity to display his talent during a yearly event: the celebration of Ashura by Shi’ah Muslims, predominant in Iran, which is a major religious commemoration of the murder of the grandson of the Prophet Muhammad, the imam Hussein and 72 of his companions. The cult of Hossein takes a spectacular and impressive form: self-flagellation, wailing and mourning, an ostentation demonstration of wounds self-inflicted by the devotees, then food is provided freely to mark the end of the celebrations. Beyond this folklore, this movie shares an ordinary activity but indicative of the Iranian Shi’ite community. Esmaeel Monsef, born in Iran in 1976, is a graduate of the Behandish Cinema School of Tehran. 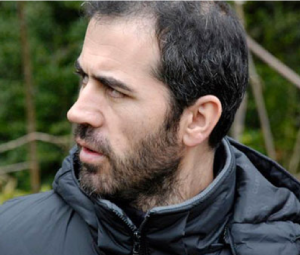 A founding member of the Association of Independent Iranian Filmakers, he has edited over 40 shorts, documentaries and features and received numerous festival awards for his first short film, ‘OYAN’.